We offer challenging, effective, fun, and motivating Personal Training options here in the South Bay. Whether your goal is weight loss, strengthening your core, defining your shape, or getting stronger, our team of certified, experienced Personal Trainers will provide the knowledge and encouragement you need in a environment free from judgement. Get matched with the right Personal Trainer for your individual goals. Work at your own pace, on your own schedule, and in the style that suits you best. Get the focus and attention of a private training with the affordability of group fitness. Push yourself to surpass your goals with the support of a team. 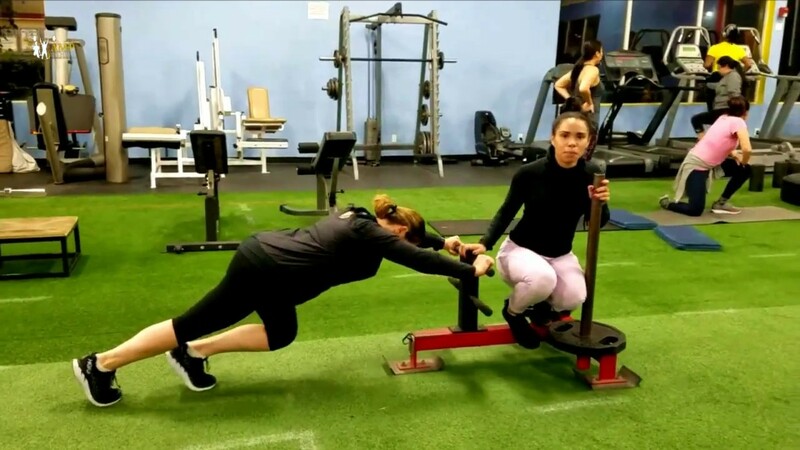 We offer a wide range of challenging, fun, and effective Group Training classes that push you to be your best while benefiting from the support and energy of the group. Looking to get Serious Results, Fast? Check out our Hybrid Training Personal Fitness Program! I started Amp Fitness to make the benefits of high quality Personal Training available to as many people as possible. We offer science based exercise programs along with fact based nutritional advice. Even if you've never touched a weight before, we're here to offer support without judgement while advancing you toward your goal at the pace that's right for you. Our certified personal trainers have been chosen personally by me to ensure that they have the knowledge, skill, personality, and experience to get you results! Call me at 310-266-3895 to tell me what you wish to achieve and I'll match you with right personal trainer. By Appointment Only! Please Contact Dave Pulliam at the number/email below to arrange a time to tour the facility so we can make sure that we're available to answer all of your questions.